The mega outdoor music festival, the Ziro Music Festival, which has taken the world music festival forum by storm since its inception in 2012 is all set to enthral music lovers from across the globe from 27th to 30th September in Ziro. A brain child of Bobby Hano and the Menwhopause guitarist Anup Kutty in 2012, the festival today has been listed under the top ten music festivals in the world by BeeHype contributors on almost all the continents. The location “Pechi Putu” is a cluster of small hillocks surrounded at three sides by paddy fields, colored in all shades of golden yellow at this time of the year, is a breathtaking view. It is located around 3kms from Hapoli and has become a favorite outdoor location for weekends; courtesy the Ziro Music Festival. Beautiful bamboo architectures by Kollol Brahmadutta from Kokrojhar, adds a more ethnic touch to the entire festival venue. The festival this year will spear head Ziro for Zero wastage Campaign. The festival goers have to use reusable mugs and bottles and avoid littering in the festival ground. To make the Zero Wastage Campaign more interesting every festival goer will wear colored badges and will have to use the corresponding colored trash bins to throw away trash. The gastronomy fest as a part of the event will include stalls from Southern India, Assam and the Northeast India. Besides music the festival also provides an opportunity to learn the vibrant culture and explore the nature in its supreme glory through heritage walk across the Ziro valley and riverside picnics. The festival usually starts the day with Indie, classical and folk music and ends the nights with head banging hard music. There is a bit for all genres of music lover. From Mono- a Japanese instrumental band to Madou Sidiki Diabate –a Traditional (Kora) West African Musician from Mali to local artists like K4 Kekho, Takar Nabum trio to Yesterdrive, the line ups will cater to all the music lovers. Some more acts to look out for this year are Avora Records from Aizawal, Malox, Oorali from Trissur Search & Found, Sukanya Ramgopal ,and Prabh Deep from Delhi. 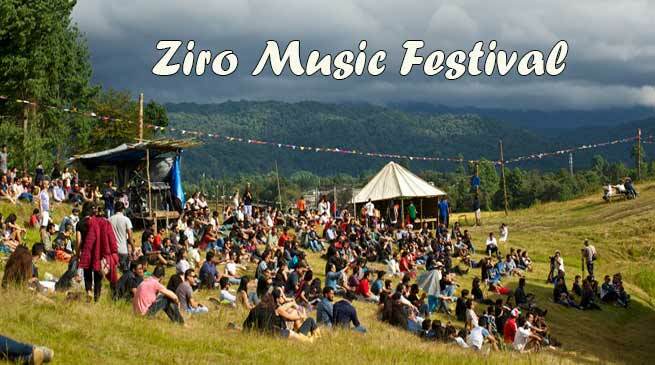 Besides music and breathtaking views of Ziro, there is a bit for everyone this edition of ZFM. Sleeping under the open sky, starring at the stars or sleeping in the tents or locally made bamboo huts, ZFM is an experience of a lifetime.